A rollicking, high flying thrill ride in the classic tradition of Romancing The Stone and Indiana Jones, High Road To China soars across six countries and two continents in the name of action and post-war adventure. Brought together by fate, Patrick O'Malley (Tom Selleck) and Eve Tozer (Bess Armstrong) are at odds from the start. He is a hard-chiselled, cynical biplane flyboy - often drunk and always unshaven. She is a headstrong young socialite, pushy by nature and used to getting what she wants. But when Eve's father Bradley (Wilford Brimley) disappears in Far East Asia, the two must get it together and find him before her entire inheritance falls into the hands of her father's shady business partner. Featuring a rousing score by Oscar winner John Barry, from the director of action classics Where Eagles Dare and Kelly's Heroes, it's time to spin that prop, call 'contact - chocks away' and take off on a perilous ride sky high and beyond. 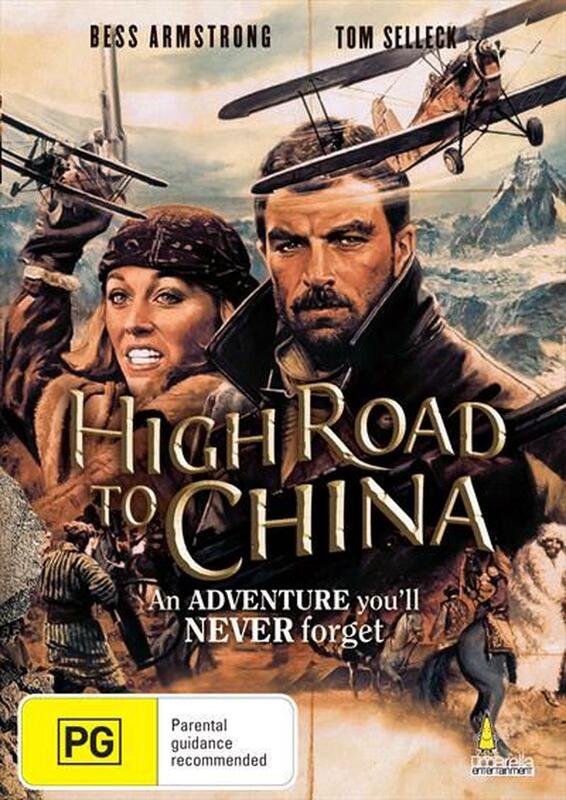 A rollicking, high flying thrill ride in the classic tradition of Romancing The Stone and Indiana Jones, High Road To China soars across six countries and two continents in the name of action and post-war adventure. Brought together by fate, Patrick O'Malley (Tom Selleck) and Eve Tozer (Bess Armstrong) are at odds from the start. He is a hard-chiselled, cynical biplane flyboy - often drunk and always unshaven. She is a headstrong young socialite, pushy by nature and used to getting what she wants. But when Eve's father Bradley (Wilford Brimley) disappears in Far East Asia, the two must get it together and find him before her entire inheritance falls into the hands of her father's shady business partner. Featuring a rousing score by Oscar winner John Barry, from the director of action classics Where Eagles Dare and Kelly's Heroes, it's time to spin that prop, call 'contact - chocks away' and take off on a perilous ride sky high and beyond.